Post Tagged with: "Horry County Department of Airports"
By a 4-1 decision, the S. C. Supreme Court overturned decisions at the District Court and Appeals Court levels giving SkyDive Myrtle Beach the opportunity to prove its case in court. The details of the case have never been heard as Horry County was successful at using some legal hocus pocus at the lower court levels to keep from allowing the case to go forward. That is not the result now as the case, SkyDive Myrtle Beach v. Horry County et al, has now been remanded back to the District Court and will go on the trial roster with discovery pending immediately. This means the case, once described by Horry County Attorney Arrigo Carotti as “rightfully dismissed by all who have discerned the true set of affairs,” was not treated in that fashion by the Supreme Court. The misrepresentation of facts and the law has been ongoing on the part of Mr. Holly, misguided bloggers, and Holly surrogates for several years now, involving universally unsuccessful litigation by Holly, and pending litigation against the FAA, the State of South Carolina, Horry County, officials and employees. 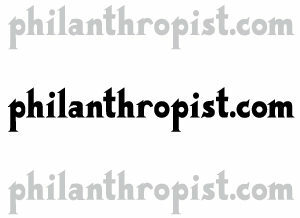 There have been no new admissions, the FAA’s and County’s sound positions in the matter remaining the same. Defamatory commentary on the part of Holly and his surrogates also has been ongoing and is expected to continue, but has been rightfully dismissed by all who have discerned the true set of affairs, borne out in voluminous court documents and public records. The eleven tort claims lawsuits against Horry County et al. filed by former owners and employees of Skydive Myrtle Beach have been consolidated into one tort claim case with eleven plaintiffs per a judge’s order granting consolidation filed on August 31, 2018. Originally filed Pro Se, the 11 owners have joined together to hire attorney Robert Varnado. Varnado will be filing an amended complaint consolidating the claims against Horry County, Horry County Department of Airports, various county officials and employees and Robinson Aviation, the contract operator of the control tower at Grand Strand Airport in North Myrtle Beach. The Federal Aviation Administration was removed as a defendant previously. The basic claims of the complaint are conspiracy among the defendants to deprive the respective owners of Constitutional rights with respect to 14thAmendment and due process protections, for interference with the business Skydive Myrtle Beach (SDMB), and with contractual ties between SDMB and HCDA in order to illegally shutdown SDMB. In early 2014, shortly after Skydive Myrtle Beach reported to the FAA of discriminatory actions against it by the Horry County Department of Airports, the HCDA began circulating stories about alleged safety violations committed by Skydive Myrtle Beach while it was operating out of Grand Strand Airport. In October 2015, Horry County government ultimately evicted Skydive Myrtle Beach from Grand Strand Airport using a 73 page FAA Director’s Determination as justification. Much of the Director’s Determination report was based on 112 safety violations allegedly committed by SDMB. Neither the county nor the FAA has documented evidence of any investigation or finding of safety violations by Skydive Myrtle Beach, according to responses to Freedom of Information Act requests filed with both the county and the FAA. A status conference has been set for next month in federal tort claims lawsuits brought individually by the 11 co-owners of Skydive Myrtle Beach against Horry County, Horry County Department of Airports (HCDA), the Federal Aviation Administration (FAA), Robinson Aviation, the operator of the control tower at Grand Strand Airport, and a host of individuals including all members of Horry County Council. The status conferences are scheduled for May 17, 2018 at the federal court house in Florence, SC. Each of the respective 11 lawsuits claim conspiracy among the defendants to deprive the respective owners of his Constitutional rights with respect to 14thAmendment protections, for interference with the business, Skydive Myrtle Beach (SDMB), and contractual ties between SDMB and HCDA in order to illegally shutdown SDMB. The Magistrate Judge previously ordered discovery in the lawsuits to go forward last fall. The status conferences could be where the rubber meets the road, so to speak, with regard to 112 safety violations allegedly committed by SDMB, which were used as the basis by HCDA to close SDMB down. Skydive Myrtle Beach is a tandem skydiving business owned and operated by armed forces service veterans. It began operating its business in Horry County in 2012 after signing an eight year lease with Ramp 66, the county’s general aviation operator of Grand Strand Airport at that time. After Horry County government bought out Ramp 66 in 2013, it appears that concentrated efforts were made by HCDA to close down the operations of Skydive Myrtle Beach. A complaint brought by Skydive Myrtle Beach against Horry County Department of Airports has been tentatively scheduled for oral arguments before the U.S. Fourth Circuit Court of Appeals in Richmond, VA May 8-10, 2018. In early 2014, shortly after Skydive Myrtle Beach (SDMB) reported to the FAA of discriminatory actions against it by the Horry County Department of Airports (HCDA), HCDA and other Horry County officials apparently decided they wanted to eliminate SDMB from operating in Horry County. Tandem skydiving is a recognized and approved use of publicly supported airport facilities by the Federal Aviation Administration. It is illegal for an airport that accepts publicly funded grants, as HCDA does annually, to discriminate against one type of approved aviation activity, say helicopter operations, over another – tandem skydiving. In 2014, HCDA began circulating stories about alleged safety violations committed by SDMB while it was operating out of Grand Strand Airport. In October 2015, Horry County government ultimately evicted SDMB from Grand Strand Airport using a 73 page FAA Director’s Determination as justification. It is the findings in the FAA Director’s Determination that is on appeal before the Fourth Circuit. Much of the Director’s Determination report was based on 112 safety violations allegedly committed by SDMB and quite unofficially and sloppily documented by HCDA and its tower operator at Grand Strand Airport, Robinson Aviation. On at least three occasions since the Director’s Determination was published, the FAA has admitted in email correspondence regarding Freedom of Information Act requests that it has no documentation with respect to investigations, fines or other actions taken by HCDA on the alleged 112 violations. A federal magistrate judge has ordered discovery to go forward in a lawsuit brought by Aaron Holly against Horry County, Horry County Department of Airports (HCDA), the Federal Aviation Administration (FAA) and Robinson Aviation, the operator of the control tower at Grand Strand Airport. Holly claims conspiracy among the defendants to deprive him of his Constitutional rights with respect to 14th Amendment protections and for interference with his business, Skydive Myrtle Beach (SDMB), and contractual ties between SDMB and HCDA in order to illegally shutdown SDMB. Skydive Myrtle Beach is a tandem skydiving business owned and operated by armed services veterans. Tandem skydiving is a recognized and approved use of publicly supported airport facilities by the Federal Aviation Administration. It is illegal for an airport that accepts publicly funded grants to discriminate against one type of approved aviation activity, say helicopter operations, over another – tandem skydiving. The only excuse allowed by the FAA for shutting down approved aviation operations is that those operations contribute to an unsafe environment at the airport. It is now apparent that Skydive Myrtle Beach was shut down from operating at Grand Strand Airport on the basis of safety allegations that were never investigated, much less proved. 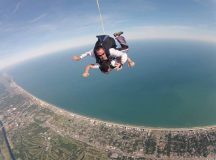 For whatever reason, county officials (council members, staff or some combination thereof) decided they wanted to shut down Skydive Myrtle Beach (SDMB). The only way they could do that and not violate Federal Aviation Administration (FAA) Grant Assurances was to claim safety violations. And this they did, sort of. Horry County Department of Airports (HCDA) staff and Robinson Aviation employees, who were contracted with HCDA to operate the Grand Strand Airport control tower, created 112 “Unusual Incident Reports” (UIR) of SDMB alleged safety violations over a nearly two year period. HCDP sent these UIR’s to the Federal Aviation Administration as documentation of safety violations. According to responses to FOIA requests by both Horry County and the FAA, none of these alleged incidents was ever investigated by HCDA and only one, number 86 on the compilation record, was investigated by the FAA. No investigation of any of the incidents was ever conducted by HCDA or other Horry County agencies. The FAA found NO VIOLATION in the case of number 86, which occurred on May 31, 2015. Another interesting twist has appeared related to the Skydive Myrtle Beach controversy with Horry County over the county’s closing of the Skydive Myrtle Beach business. Nearly two years ago, the county used a Director’s Determination by the Federal Aviation Administration to close the landing zone for skydivers at Grand Strand Airport and evict Skydive Myrtle Beach from a hangar at that airport. The Director’s Determination was based on 112 alleged safety violations committed by Skydive Myrtle Beach, which were documented and reported by Horry County Department of Airports personnel and/or Robinson Aviation personnel who are contracted by the county to staff the control tower at Grand Strand Airport. 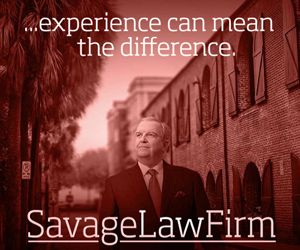 In a recent post about the ongoing controversy, we quoted a letter by Horry County Attorney Arrigo Carotti that backed away from calling the documents proof of safety violations by SDMB. The misrepresentation of facts and the law has been ongoing on the part of Mr. Holly, misguided bloggers, and Holly surrogates for several years now, involving universally unsuccessful litigation by Holly, and pending litigation against the FAA, the State of South Carolina, Horry County, officials and employees. There have been no new admissions, the FAA’s and County’s sound positions in the matter remaining the same. Nearly two years after evicting Skydive Myrtle Beach from Grand Strand Airport for, allegedly, committing numerous safety violations, Horry County now won’t claim the skydiving business committed any violations. What is astounding about that statement is that two years ago the exact same documents were provided to both the Federal Aviation Administration and S.C. Fifteenth Circuit Court as proof of safety violations by Skydive Myrtle Beach. 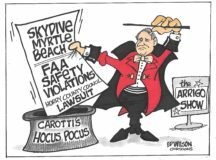 In 2014, Skydive Myrtle Beach lodged a complaint with the Federal Aviation Administration against Horry County Department of Airports alleging discriminatory actions against Skydive Myrtle Beach by HCDA. In response, Horry County Department of Airports reported to the Federal Aviation Administration that Skydive Myrtle Beach was the subject of 112 alleged safety violations (contained in the 126 pages of documents) while conducting business at Grand Strand Airport. On October 7, 2015, the FAA issued a Director’s Determination Report, authored by Randall Fiertz, the FAA Director of Airport Compliance and Management Analysis, in response to Holly’s original complaint, supposedly basing the report on those safety violations. 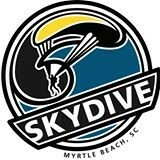 The U.S. Attorney for the South Carolina District has notified the Florence Federal District Court that she will be representing the individual federal defendants in a federal tort claims lawsuit brought by Skydive Myrtle Beach Inc. The notification is included in a motion, signed by Interim U.S. Attorney for S.C. Beth Drake, to the court requesting an extension in filing a response just as time for a response was running out. Skydive Myrtle Beach named Horry County, Horry County Council, the Federal Aviation Administration and a number of officials with all agencies individually as defendants. The lawsuit claims Skydive Myrtle Beach was illegally closed when Horry County Council and its Department of Airports worked with the FAA to deprive Skydive Myrtle Beach of its constitutional right to due process and equal protection under the Fourteenth Amendment of the U.S. Constitution. In response, Horry County Department of Airports reported to the Federal Aviation Administration that Skydive Myrtle Beach was the subject of 112 alleged safety violations while conducting business at Grand Strand Airport. In October 2015, the FAA issued a 73 page Director’s Determination Report supposedly basing the report on those safety violations. Horry County subsequently used this report as an excuse to shut down Skydive Myrtle Beach operations at Grand Strand Airport. Skydiving is an approved aviation activity at all airports receiving FAA grants, according to FAA guidelines. Grand Strand Airport and the Horry County Department of Airports receive FAA grants on a routine basis. Skydive Myrtle Beach and Horry County are scheduled to face off in S.C. Court of Appeals November 3, 2016 for oral arguments in the case of Skydive Myrtle Beach v. Horry County (2014-002491). The basic question in this lawsuit is whether Horry County acted fraudulently in stopping Skydive Myrtle Beach from operating its business at Grand Strand Airport. A separate court ruling from a federal Administrative Law Judge is expected to be issued on or before November 18, 2016 addressing the actions of the Federal Aviation Administration in issuing a 73 page ruling against Skydive Myrtle Beach on the basis of very sketchy information provided by Horry County Department of Airports. The case built by Horry County Department of Airports to evict Skydive Myrtle Beach from Grand Strand Airport has more holes than Swiss cheese. After Skydive Myrtle Beach reported HCDA to the Federal Aviation Administration in February 2014 for discriminatory actions, Horry County officials began looking to cover their tracks. HCDA began an incident reporting system that logged 112 alleged safety violations by Skydive Myrtle Beach over the next few months. None of the 112 alleged safety incidents HCDA insists Skydive Myrtle Beach committed were ever properly reported to the FAA, according to FAA reporting requirements. A recent Freedom of Information Act response from the FAA to SkyDive Myrtle Beach officials goes further. It says there are no records of the alleged safety violations in the FAA reporting system.